Ready to Ride 2 hour session. Ideal for beginners with no experience needed. All equipment provided. Meet and greet, paperwork etc. 15 mins tuition on the beach followed by 1 hour 15 mins of paddling one of our specially planned out routes. This 45 minute session gives you a breif taste of the sport and allows you to paddle around under supervision. No experience needed and all equipment provided. 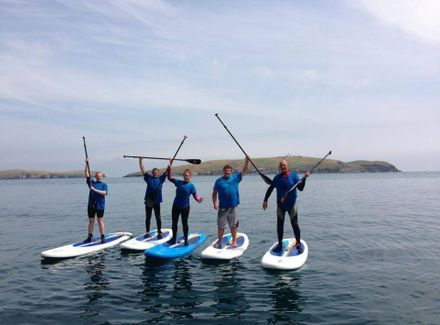 If after the taster or tours you are wanting to get more into SUPing then why not join our Abersup Club! Under 16's must be given parental consent or accompanied by a suitable guardian and be able to swim 50 metres or more. Payment to be made on booking, only refundable if we are unable to deliver due to bad weather.